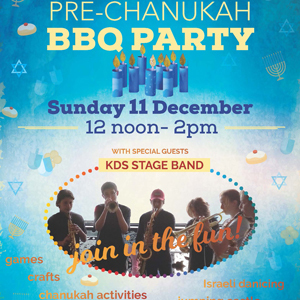 Activities for all ages, including jumping castle, Israeli dancing, craft activities, games. Special guests KDS Stage Band. We provide kosher sausages, doughnuts & soft drinks. You bring a small non-dairy item to share, plus anything else you wish to drink. We will be watching and discussing a 2011 Israeli film Footnote, a drama about the troubled relationship between a father and son who teach at the Talmud department of the Hebrew University of Jerusalem. The film will be preceded by pizza supper at 7pm. The meeting is offsite. Contact the office on 9819 7160 for details. 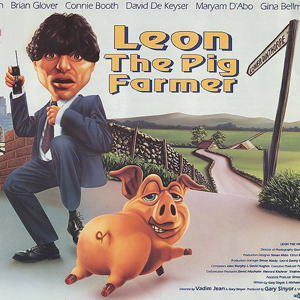 Leon the Pig Farmer, a cult classic in Europe is a British comedy about a Jewish estate agent in London who discovers that thanks to an artificial insemination mishap, his real father owns a pig farm in Yorkshire. The inevitable confusion results in a comic Jewish identity crisis.